India\'s Diamond Capital Loses Sheen Thanks To China Jewellers\' Default. A year ago, India’s diamond capital hit the headlines when one of the largest polishing companies in the western city. Surat: A year ago, India’s diamond capital hit the headlines when one of the largest polishing companies in the western city of Surat treated hundreds of employees to bonuses in the form of Fiat cars, apartments and jewellery. This year, there’s no sign of a repeat bonanza in a city that by some estimates polishes about 80 per cent of the world’s diamonds. More than 5,000 Surat polishers have lost their jobs since June and thousands more could be left without work, as Chinese consumers pull back from luxury purchases, leaving jewellers with stocks of unsold jewellery and gems. Polis-hers say Chinese jewellers have defaulted on deals worth millions of dollars. Nearly half a dozen large diamond companies in the city have closed down: a significant hit for an industry that employs nearly a million people in India, two-thirds of them in Surat. Jobs are a critical issue for India’s government, struggling to revive economic growth to a rate that will create employment for millions joining the workforce every year. Sunilkumar Rajput spent 25 years cutting gems in this coastal city, where streets are lined with workshops of all sizes, bustling with craftsmen huddled under desk lamps, preparing to carve rough diamonds into multi-faceted gems. He lost his job in June. “I am ready to work even at half the salary I was getting in my previous job, but no one will listen,” says Rajput, 45, speaking in a quiet side street of Surat. He has sent his children back to his home state of Uttar Pradesh to save money. Distress in Surat’s warren of polishing houses comes at a time of unrest across Gujarat, where hundreds of thousands of members of the Patidar, or Patel, community have held protests to demand changes to India’s affirmative action policies, which they say hurt them. China represents roughly a fifth of the world polished diamond market — less than half of the United States in value terms — and accounts for the same proportion of India’s $23 billion of annual exports. But its growth has fuelled the diamond industry in recent years, as jewellery stores expanded at breakneck pace to cater for luxury hungry consumers. 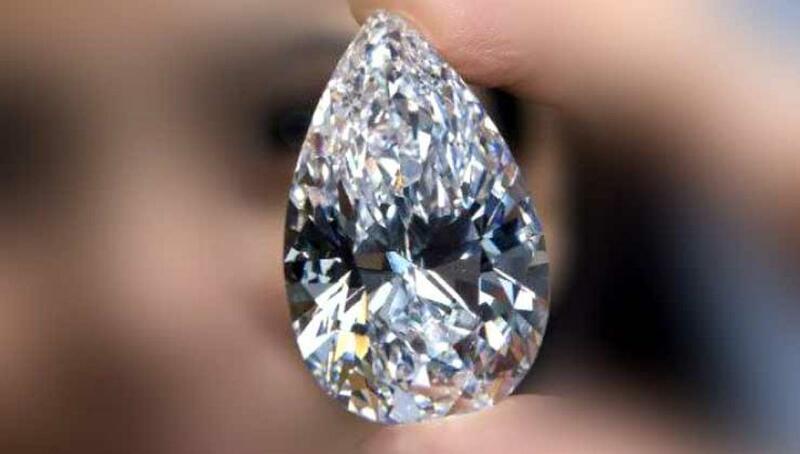 At the peak, between 2008 and 2013, diamond jewellery sales in China grew at a compound annual rate of 18 percent. Now, industry officials estimate grow-th in single digits, and jewellers are adapting — and cutting back.